Nice to have new website for dobies lover. Looking forward for great news. Congratz for your new web launching!! Looks great & superb! You have such an exquisite dobbies.. Good luck! Selamat Pak atas website barunya. Hi William, Good to see you have a site up and running, we look forward to seeing you news from time to time. 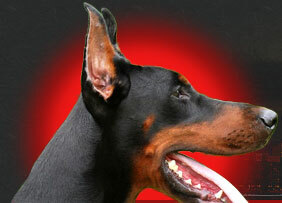 I will definately add your link to our site so folk in Europe can see your excellent Dobermanns. Hebat oeiiii..... websitenya keren...... mudah2an websitenya selalu ter-update dan anjingnya juga selalu ter-update.